Every hundred years (give or take a decade), a message in a bottle washes ashore from the sea, its origin often mysterious and the contents weathered. It is rare that such a vessel takes the form of a curiously vacant yacht marooned for years. This led a resourceful cache owner to place a container within, creating a bottle big enough to search inside for this Geocache of the Week! 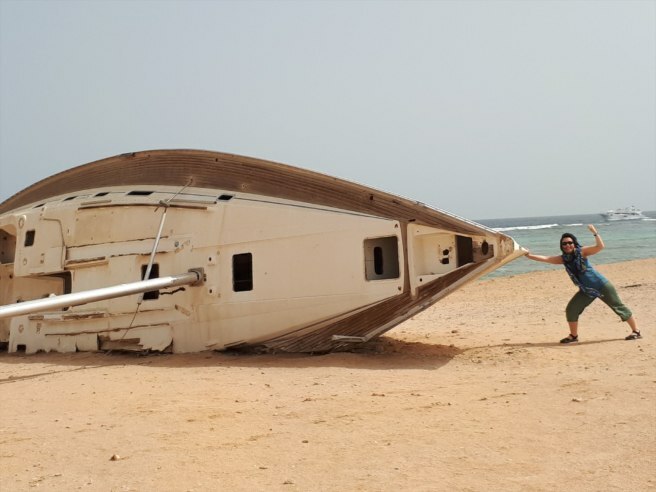 Just steps off the coast of the Red Sea in Egypt, rests the ANTARES, a leisure yacht that wrecked its hull after the captain miscalculated the height of the Red Sea reefs. This was a common occurrence after the opening of the Suez Canal, which expedited the shipping route between Europe and Asia, where an unknown number of vessels sunk due to the reefs and shoals. Fortunately the ANTARES didn’t meet the same demise as its sunken predecessors and ended up on the white, sandy beaches (a T1 instead of a T5) where it has remained ever since. 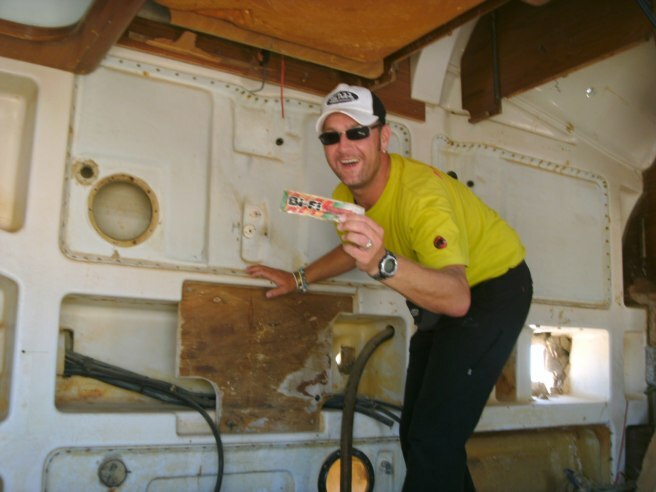 Since 2011, the ANTARES has offered visitors something special to discover: a geocache within its hull following the namesake of its host. Those who wish to seek this cache and adventure can reach it by water taxi, diving, or even camel! For everyone else, the cache is a short walk from Port Ghalib Marina, Egypt’s first private seaport. The owner of this Traditional Cache, omabande, preserves the thrill of the hunt with only a brief descriptor on the cache page’s hint [spoiler! 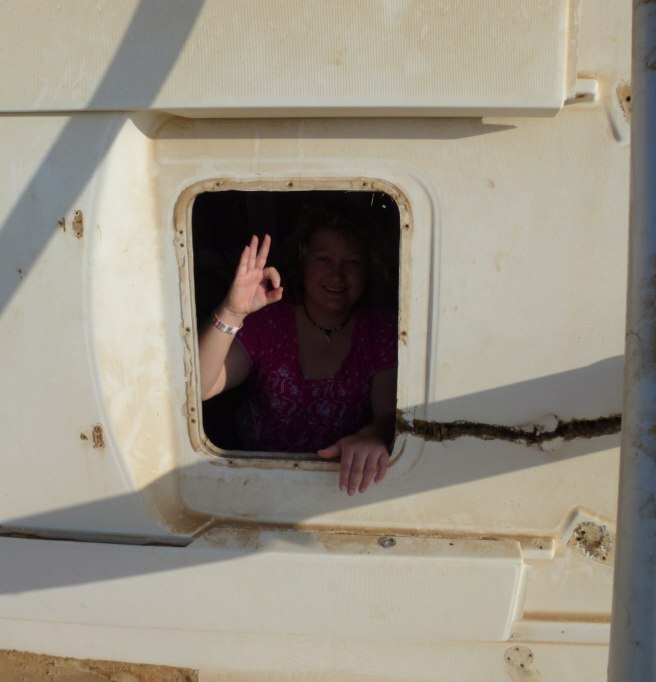 ]: “Inside.” Cachers are then led to explore the nooks, crannies, and crevices of the weathered vessel for the small container aboard. Although the boat is only 30 ft (9 m) deck bow to stern, there are still many hiding places to be discovered. Those that venture in can enjoy life on the starboard side, as this yacht can only make right turns without its rudder (and the water to maneuver through). 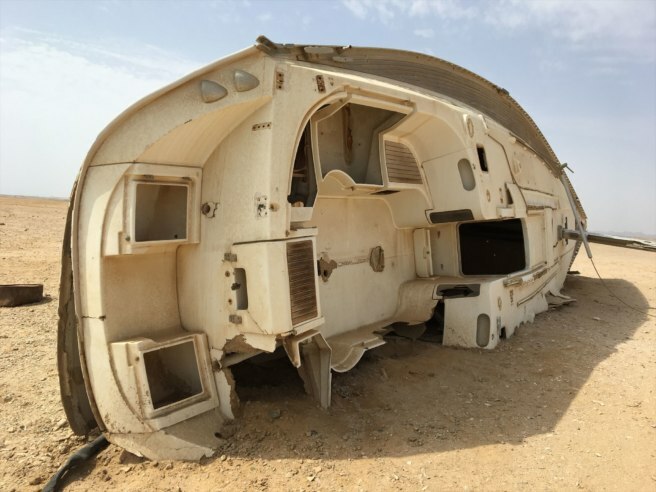 It still has some of its interior intact, including the remains of its galley (kitchen), bulkhead (dividing wall), and cleats (anchoring tie-offs).